Content is King. It’s almost a worn out saying but since it was first coined it has grown into an absolute truth. Whether you are trying to attract customers, or retain customers, content has become an integral part of a lot of businesses. For the majority of rights holders, however, it’s been a very slow process. Even those that are doing it well are still lagging behind the general marketing community in other sectors. There is no doubting that there is a trend in IP Owners taking control of content and the conversation and it makes Nielsen’s Commercial Trends in Sports 2017. That’s because social media and other digital channels offer the opportunity to reach audiences more easily even if they are geographically dispersed. Yet, what is social media and what is broadcast media is very blurred. Is YouTube a social media platform? Or is it a broadcaster? Does it even matter? 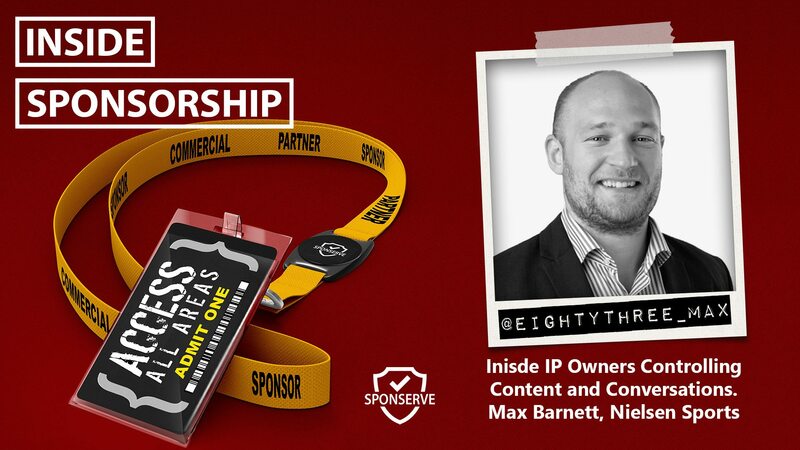 To help understand the trend of IP owners taking control of content and conversations, Max Barnett, Global Head of Digital at Nielsen Sports, joins us on the show. You can connect with Max on LinkedIn and Twitter @eightythree_max and you can download a copy of Nielsen’s Commercial Trends in Sport 2017 here. Our MD, Mark Thompson, also focuses on this trend but takes a much narrower look, and a deep dive, and discusses what it means for you, the sponsorship managers, in your day-to-day work. You can read Mark’s blog in full here. Did you find this blog useful? Subscribe to receive more blogs, just like this one, direct to your inbox.